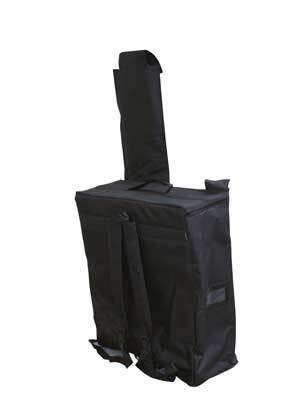 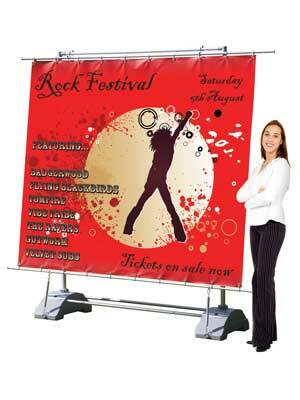 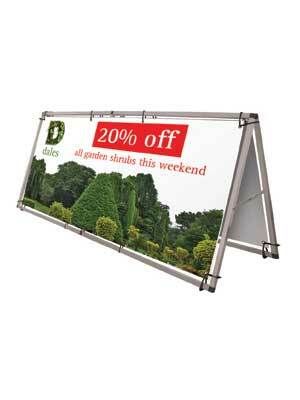 As the largest graphic display in the range, Horizon is the perfect solution for large scale promotions. 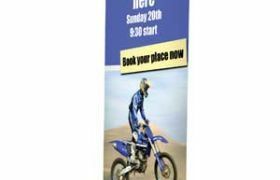 As you can display single or double-sided, you can achieve maximum impact for your message; with individual units linking together to form a display wall. 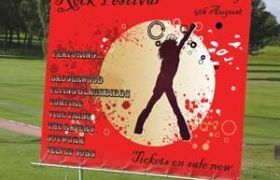 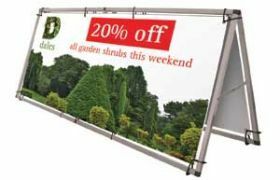 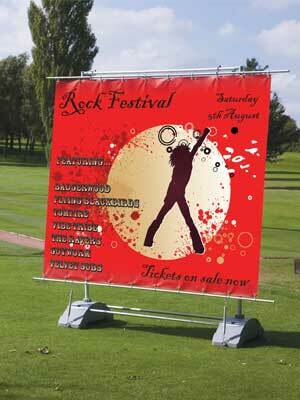 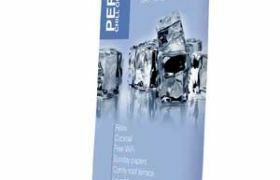 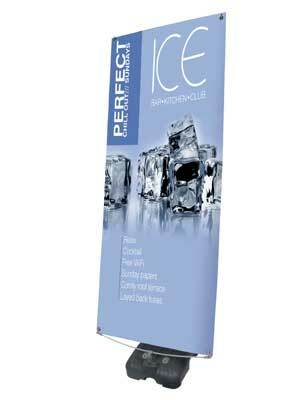 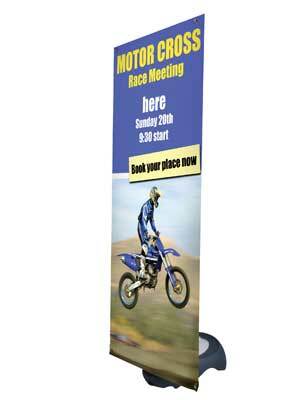 A large format double-sided outdoor ‘A’ frame banner, made from lightweight aluminium, ideal for use with PVC eyelet banners.